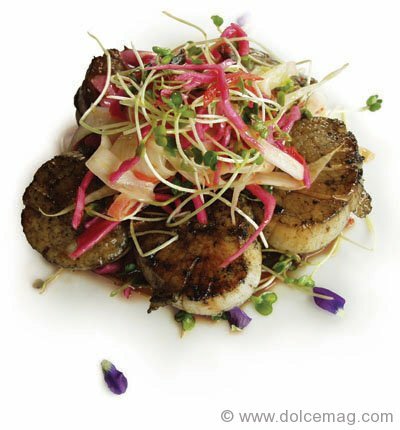 This article was previously published in Dolce’s Winter 07/08 issue. It is being featured in memory of Alfredo DeGasperis. Set upon a magical estate in the Niagara region, the picturesque Vineland Estates Winery, owned by Fred DeGasperis, receives over 150,000 visitors annually. Proudly producing wines of an award-winning, world-class calibre, Vineland Estates Winery leaves its guests in awe. While visitors have the opportunity to taste Canada’s most expensive red wines and dine on meals prepared by master chefs, they will take in the pristine settings that make the Vineland Estates Winery a heavenly place to visit. As the sun was setting and a light breeze ruffled my clothing, I slowly sipped a glass of wonderful, Dry Riesling and munched on delicious steamed mussels. From my vantage point on the large cedar deck of the restaurant, I looked around and stared out at what could only be described as a paradise of sorts. A beautiful winery lay behind me while lush vineyards stretched out in front with Lake Ontario and the Toronto skyline in the distance. Was I dreaming? I gave myself a pinch. No, I was awake and thoroughly enjoying Vineland Estates Winery in Niagara. Not many wineries in the world can boast of producing award-winning, world-class wines, possess a fabulous, on-site restaurant and have the most scenic locale in an entire region. But this gem can. It all started back in 1979, when Hermann Weis, a Mosel winegrower, planted two 50-acre vineyards of Riesling in Niagara, one on this 20-mile bench sub-appellation of the escarpment. Using his fruit, Dieter Guttler opened the original winery in 1983 on a homestead dating back to1845, utilizing many of the original historic buildings. He sold it to the Weis family five years later and businessman John Howard bought the property from them in 1992. Realizing the potential, Howard expanded the original winery preserving the farmhouse into a tasting room and restaurant. He restored the historic coach house for social functions and as a final metamorphosis, built a new California-style winery with a distinctive stone tower which housed his office. 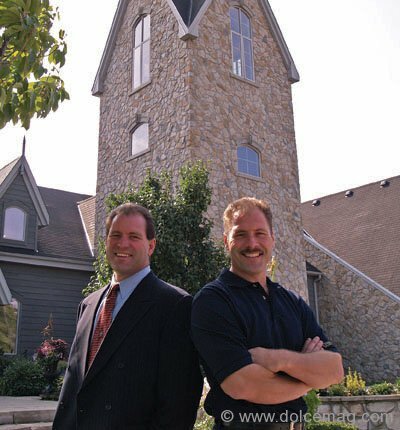 In 1998, Fred and son Jim DeGasperis construction and development magnates, visited California’s Napa Valley on Jim’s 40th birthday to look into buying a small winery there but found nothing suitable. Then, after lunching at Vineland that very same year, they were smitten. Jim admits: “We were extremely impressed with the region, winery and quality of the wines, so my father and I decided to invest in Vineland instead and became shareholders.” In 2004, Howard sold his controlling interest to the DeGasperis family and the rest, of course, is history. Today, Vineland has the distinction of producing Canada’s most expensive red wine, a Meritage (blended red) priced at approximately $125. Rather interesting, considering that the winery’s reputation was built on creating great Riesling. However, due to its prime location and terroir, additional varieties like Chardonnay, Pinot Gris, Pinot Blanc, Vidal, Merlot, Cabernet Sauvignon, Cabernet Franc and Pinot Noir now flourish on some 275 acres and are part of the winery’s vast portfolio of wines produced. Styles include red, white, rosé, sparkling, blends, late-harvest, and of course, world-renowned Icewine. 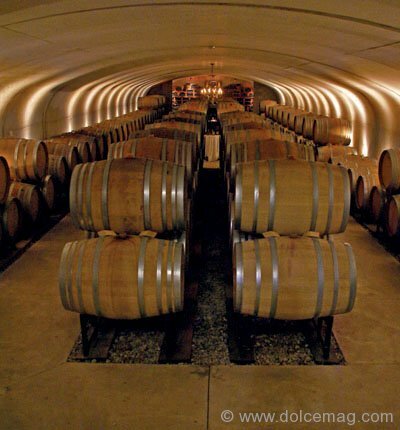 The wines are exported throughout North America, the United Kingdom and the Far East. Much of Vineland’s vinous success and diversification can be attributed to the efforts of the Schmidt brothers, Allan and Brian. 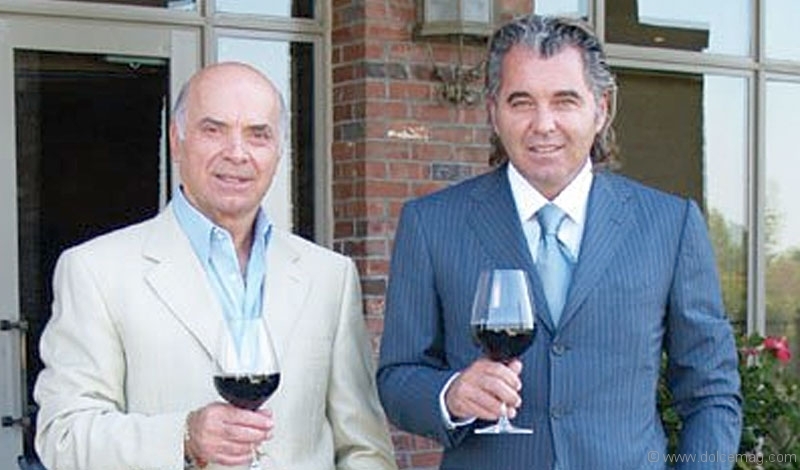 Born and raised in the Okanagan Valley of British Columbia to a wine family, both brothers followed in the family business. Allan studied viticulture and winemaking in California and Germany before moving to Ontario to take up the position of winemaker and general manager at Vineland Estates in 1987, which really helped put Vineland Estates on the map as a premium producer. Today, he is the president and holds shares in the winery and couldn’t be happier with his partners. 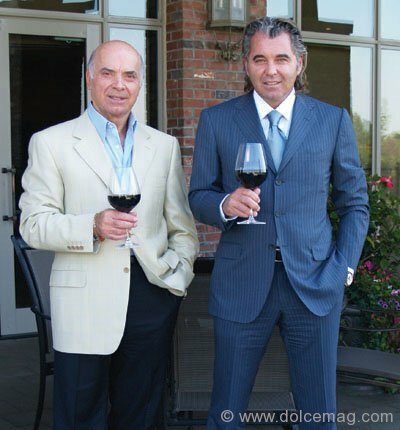 “The DeGasperis family,” he proudly announces, “truly understands the potential of Niagara wine and food and live the lifestyle daily.” Jim DeGasperis actually dines at the winery restaurant at least twice a month. Brian travelled extensively throughout Europe, studying winemaking and in 1991, came to Ontario to train with Allan. He took over as winemaker of Vineland in 1994. Since then, his distinct style of winemaking has garnered endless national and international awards in well-respected competitions worldwide such as the All Canadian Wine Championship, Decanter Wine Awards, Japan Wine Challenge and London’s International Wine Challenge. Perhaps most noteworthy was the Vinitaly Grand Special trophy as the highest scoring winery in a field of over 3,000 wines. “Producing excellent product starts in the vineyard and is based on control,” says Brian of his success. As Vineland’s 50,000 cases of wine produced yearly are made with over 85 per cent of its own, estate-grown grapes, it’s easy to see this philosophy at work. Today, he is also vice president of operations. After a guided tour of the facility, which is available regularly, a tasting of some of their wonderful wines at the gorgeous Wine Boutique, located in the aesthetic, 1877 historic barn, is a must. With its magnificent wooden bar, upstairs loft that often doubles as an art gallery, complete selection of their wines (many of which are only available here), wide range of stemware, crystal, wine/food books and other wine-related paraphernalia, it’s the best wine shop of its kind in the region. What would a great glass of wine be without some tasty, well-chosen food for it to play off of? The restaurant at Vineland Estates, open for lunch and dinner throughout the year featuring local Niagara cuisine, has evolved from a somewhat small operation to a full-fledged dining extravaganza. With its idyllic location overlooking the St. Urban Vineyard and Lake Ontario in the distance, a finer setting to enjoy a glass of wine and a nibble would certainly be hard to find. Under the masterful cooking of Mark Picone, the restaurant gained notoriety as the hot spot in the region to dine at. In 1996, after graduating from the Niagara Culinary Institute, Jan-Willem Stulp joined Picone as his assistant and quickly worked his way up to sous-chef. In 2002, Picone switched to managing the restaurant, leaving all food prep to Stulp and when Picone departed Vineland in 2005, Stulp became sole culinary director. Since then, he, like Picone, has become quite the celebrity in the region by catering to large, prestigious events and doing cable TV. 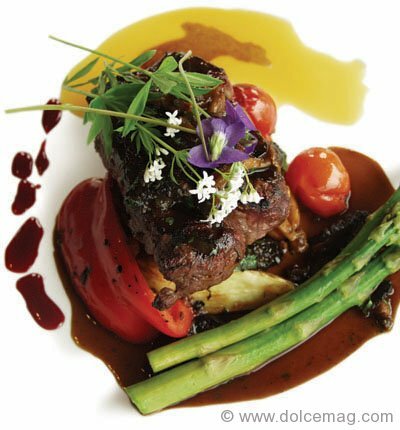 With rave reviews and awards like Distinguished Restaurant of North America (DiRoNA), a 4-Diamond rating status from AAA/CAA Dining Review and an Eat Smart Award for Healthy Menu, dining here has become a unique, culinary experience. It’s even been showcased at the renowned James Beard Foundation in New York City. Most of the 150,000 or so visitors arriving yearly come by car, but a few actually arrive by helicopter (which can be arranged by the winery if desired) and stay over in their private Bed & Breakfast Cottage or Estate Guest House on the property. Regardless of how one gets to Vineland Estates, “Ontario’s Most Picturesque Winery,” a trip here is sure to be a memorable, vinous, gastronomic experience that will surely have you coming back for more. Gallery 1: A celebration of Niagara’s bounty, The Restaurant @ Vineland Estates Winery uses the freshest ingredients, locally sourced. Gallery 2: Alfredo DeGasperis (left) and son Jim DeGasperis (right) ruminate over a glass of Vineland’s finest at Eagles Nest Golf Club. 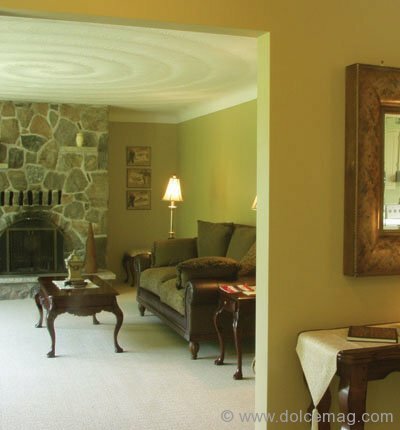 Gallery 3: The cosy 3 bedroom Guest House @ Vineland Estates Winery. 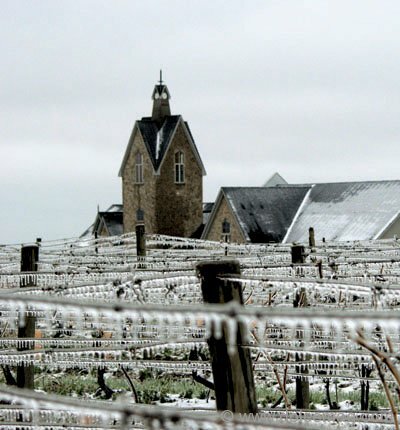 Gallery 4: Vineland Estates Winery produces award winning Icewines, Reserve and Premium wines. Gallery 5: The Carriage House plays host to small weddings, private functions or high tech corporate meetings. Gallery 6: Vineland Estate’s award winning Riesling perfectly pairs with seafood, making it a staple on the restaurant menu. Gallery 7: President, Allan Schmidt (left) and brother, Winemaker / VP, Brian Schmidt (right) are third generation wine producers from the Oakanogan in British Columbia.